This course will help you develop the skills required to work across a variety of technical roles within the film production process, giving you breadth of experience whilst developing a specific area of expertise, with a strong portfolio of film work. Throughout this three year course you’ll develop new skills working with the latest film production technologies in order to develop your understanding of the art of filmmaking. In addition to developing practical skills you’ll also undertake a wide range of industry and work-related opportunities through live projects, Confetti’s Industry Week, guest lectures and work-based learning. You’ll master the technological skills required by the cinematographer, lighting technician and sound recordist, as well as studying in detail the art of post-production. You’ll develop your creative and technical understanding of industry-standard software including Avid Media Composer and the Adobe Creative Suite. In addition, you’ll learn to use the latest grip equipment used within film production and develop the technical discipline required when working with 4K cinematography, data management and post-production workflow. 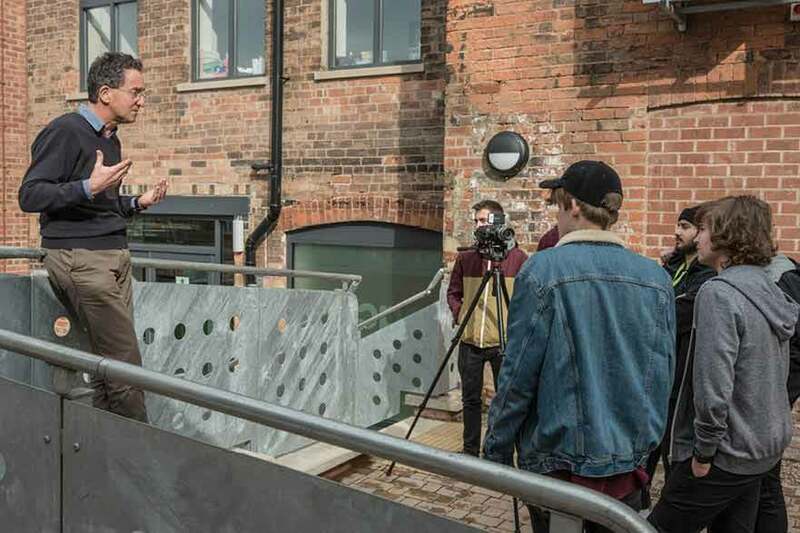 You’ll also study the science, art and application involved in both practical effects and visual effects, whilst exploring the importance of self-promotion, brand management and screening events. You’ll also complete a self-directed technology investigation on a subject of your own interest. This module introduces you to a range of equipment used on a film set. You’ll develop the skills and understanding required for camera operation, audio acquisition and lighting techniques for film. You’ll examine the scientific principles behind the practical skills that inform the filmmaker’s ability to achieve a cinematic quality product when using lighting, audio and camera technologies. Throughout this module you’ll study the historical development of film technology and assess the impact technological change has had on the industry. You’ll be given the opportunity to investigate a range of film examples, past and present, in order to assess the impact technology has had and continues to have on changes in film production, distribution and access. This module will develop your ability to work in small groups to project manage the technical requirements of a film shoot. You’ll be taught how to break down a script in terms of its technical requirements whilst also learning about the different stages of project management in preparation for location filming including location scouting, risk assessment, kit specifications, crewing, budgeting and scheduling. You’ll be expected to show a detailed understanding of the health and safety regulations that govern the film industry and in particular location filming. During this module you’ll be expected to work collaboratively as a part of a production team on a film set. As part of the production team it is expected that you’ll demonstrate proficiency working with a particular piece of hardware in a particular discipline. Through self-reflection and evaluation you’ll also need to demonstrate a detailed understanding of the camera, lighting and audio technologies applied to your production. Throughout this module you’ll learn how to use post-production software for both visual and audio. You’ll develop an understanding of the technologies involved and its impact on the creative process. You’ll gain experience within the workflow of the technologies and understand the interrelationships between software, developing skills that will enable you to implement post-production theory in a practical way with a varied pool of resources. This module introduces you to the technical specifications and requirements of a range of complex film grip equipment. You’ll learn to operate the equipment whilst also investigating the scientific principles surrounding camera and lighting technologies when shooting for visual effects content. You’ll then be required to plan and shoot a technically complex sequence using appropriate specialist equipment. This module will require you to independently study the short film genre. You’ll be expected to research appropriate markets to inform the development and production of your own short film to be entered into a relevant and well justified short film competition. Working under the guidance of an industry partner you’ll undertake the pre-production of your own short film, ensuring that the correct health and safety regulations are fully considered. You’ll be expected to make appropriate judgments in the planning of your production and demonstrate the ability to problem solve. During this module you’re expected to independently produce a short film aimed at a film festival or short film competition. You’ll be expected to demonstrate the ability to work in appropriate film production environments working to the necessary health and safety regulations. You’ll independently undertake production management of the workflow, processes and professional practice in the successful delivery of your own short film. Within this module you’ll develop more advanced skills in the areas of post-production for film. This will involve visual effects, colour correction and picture grading for film post-production; and dubbing, mixing, ADR and Foley for audio post-production. You’ll also learn how to deliver content for distribution for cinema using the correct technical procedures. Using the knowledge, understanding and skills acquired in this module you’ll work with an industry partner or client to post-produce a product to be shown in the cinema. The aim of this module is for you to develop an innovative and ambitious digital film project of your own design demonstrating flexibility and creativity whilst working both independently and in collaboration with others. You’ll develop critical and technological skills that allow you to develop and realise your professional digital film production. 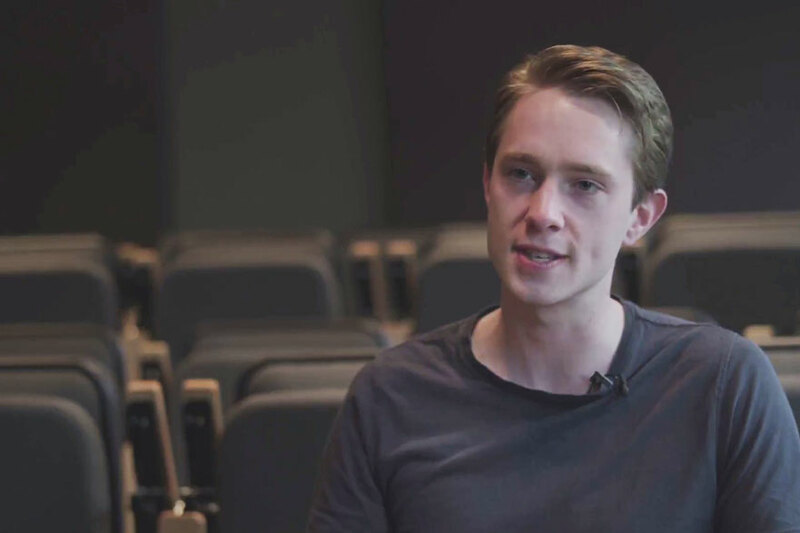 Alongside developing professional production skills, you’ll also extend your theoretical knowledge in order to develop your understanding of creative film practice. This module will provide you with a broad framework for planning your own film exhibition event. Working in collaboration with your peers you’ll undertake planning and project management to host your own film festival. You’ll explore factors including how to organise a film festival, build partnerships and identify a suitable programme of films for exhibition. Working with your peers you’ll investigate the operational issues and technical considerations required for your festival and you’ll research how to raise appropriate finance and work with budgets and cash flow. The module will also explore the press and marketing of films festivals and you’ll plan and execute appropriate marketing strategies for your own film exhibition. This module will enable you to investigate, research and engage with special effects. You’ll experience the practical art of creating special effects achieving a broad range of technical and aesthetic skills whilst developing an understanding of the relevant art, science and technology behind the creation and methods of special effects design and production. You’ll learn how to work with relevant materials and gain grounding in the essential artistic, scientific and technological principles underpinning the process and production of special effects. The module will offer you a breath of experience across a range of technologically based mixed-media (animation, animatronics, prosthetics, make-up and model making) which will enable you to focus on the application of special effects in your own original film productions. Learn and develop your skills required to work across a variety of technical roles in the film industry. You’ll learn about a broad range of disciplines including areas such as 4K cinematography and short film production, 4K data management and post-production workflow, lighting, audio acquisition, animatronics, grip equipment, practical effects, and visual effects. You’ll learn through lectures, seminars, group tutorials, academic tutorials, workshops, presentations and pitches, visiting industry professionals, team working, and independent study. 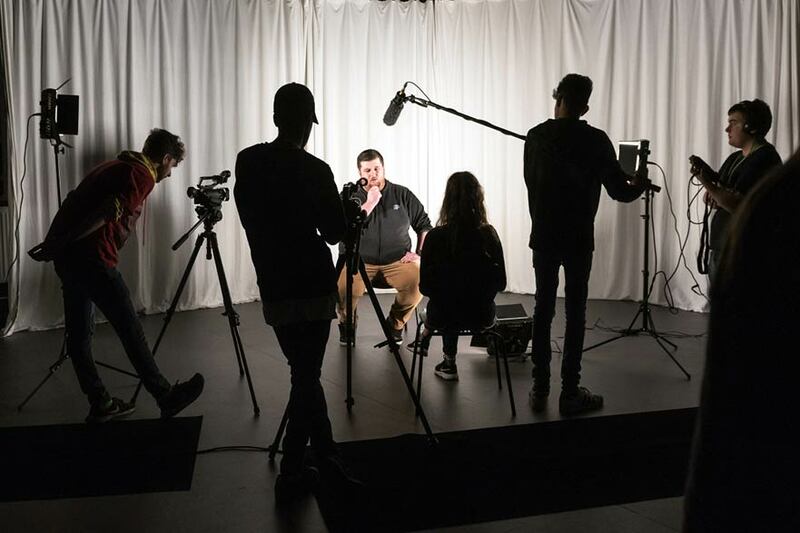 Alongside this, you’ll develop employability skills that will enable you to design and organise your own short films, event screenings, build an audience and gain employment within the film industry. In your final year, you will exhibit your work as part of Confetti's Degree Show. This event includes all final year students across Confetti's courses and is a great platform for you to showcase your work to key influencers across the creative industries. This course is taught at Confetti Institute of Creative Technologies in their dedicated film facilities - Space2.